EXCLUSIVE AT NET-A-PORTER.COM. Raquel Diniz spent a great deal of time finding the right fabrics to use for Fall '18 - to meet her '80s brief they needed to be bold and shimmering. 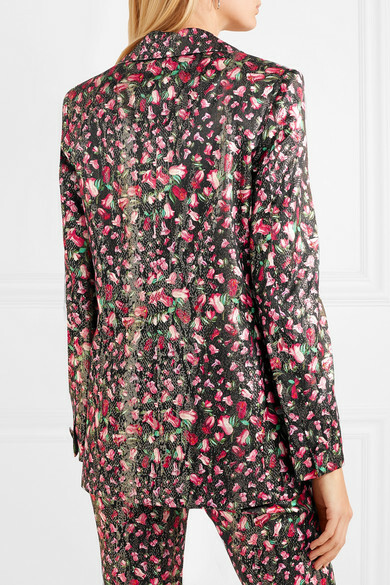 This 'Eunice' blazer has been tailored in Italy from light-catching silk-lamé printed with hand-painted red roses. 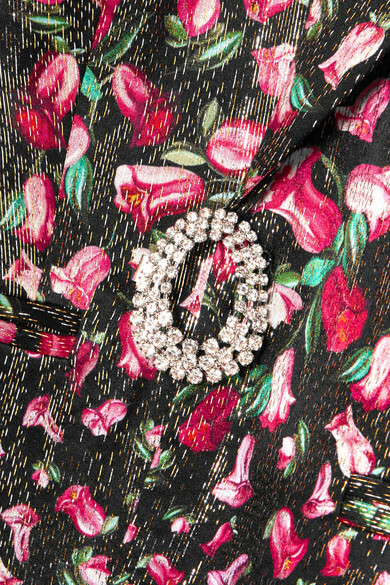 The Swarovski crystal-encrusted brooch is positioned to highlight the slimmest part of your waist. Wear it with the matching pants and nothing underneath, turning the lapels into a plunging neckline.